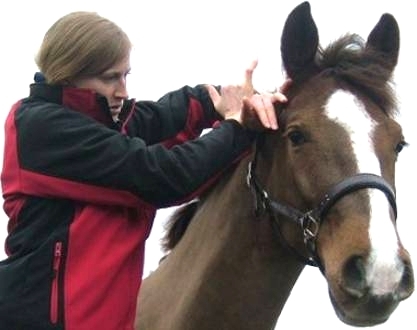 "Caroline's treatments are an important part of our training and conditioning regime and allow the horses to perform at their best"
McTimoney Animal Manipulation is a drug free, non-invasive, holistic treatment, which realigns and balances the musculoskeletal and nervous system. It helps restore health, movement and performance. My name is Caroline Hicks and I have an M.Sc. in McTimoney Animal Manipulation and a B.Sc. (hons) in Equine Science. I cover Surrey & West Sussex and travel to Bucks every 2 weeks for treatment days. I can travel to other areas but I may have to add a extra charge to cover travelling expenses. I have 17 years experience working with and competing horses. I've been the yard manager of a competition carriage driving yard for over nine years and have competed as part of Team GBR at two World Equestrian Games and two World Four In-Hand Championships. It is a legal requirement that veterinary permission must be obtained BEFORE any non-veterinary treatments are given. This simply means that you need to contact your vet to make sure he/she is happy that your animal is able to undertake a spinal manipulation treatment.